Our white light up dance floor and sparkle back drop Cork has become very popular for weddings in Cork over the last couple of years. We promise that it will make your guests want to go straight to the dance floor when the music starts. 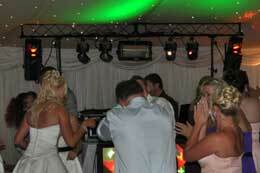 Everyone in Cork is talking about our Led dance floor hire Cork. 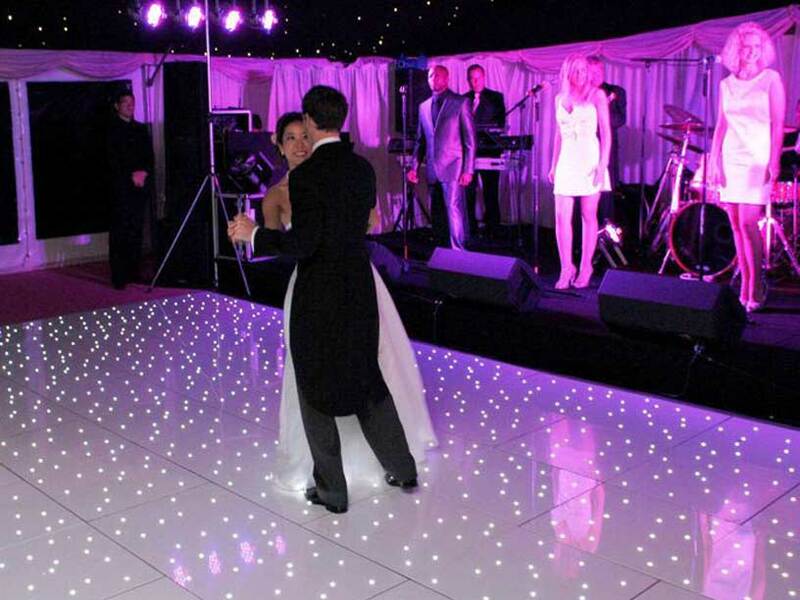 Our dance floor has a stunning glossy finish and has dazzling star lights to bring sophistication and style to your wedding reception. 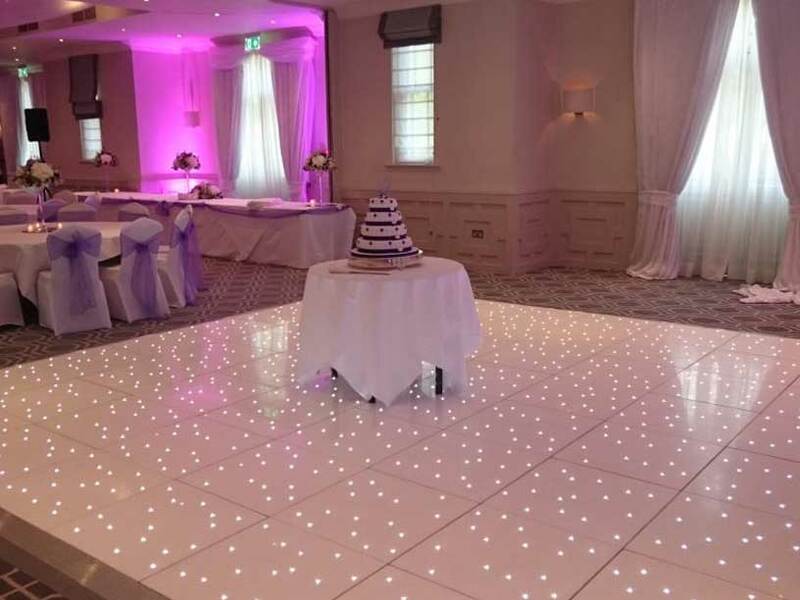 Our white LED dance floor has different types of effects and you can leave the star lights static or they could also be allowed to twinkle and flash by a simple press of a button. You have the option of controlling the speed of the lights by making them fast or slow to match the beat of the music that is being played. 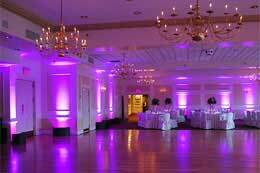 If you hire mood lighting with the white LED dance floor it gives an elegant look and creates an atmosphere of romance for the first dance. Our white dance floor cork is always maintained in a pristine condition for your ultimate satisfaction. 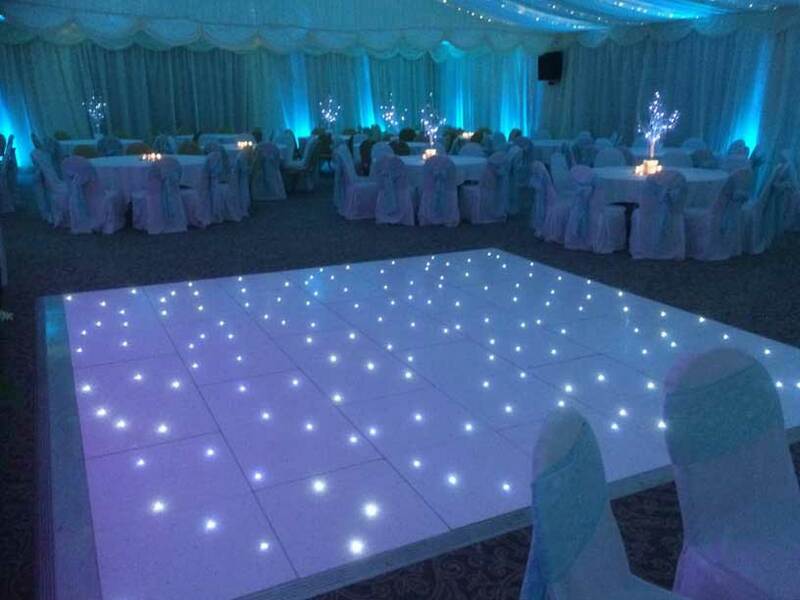 You simply cannot go wrong with our awesome white LED starlight dance floor. We will require only half an hour to install the white dance floor cork with the help of our professionally trained installation team. An event like a wedding reception turns out to become a huge success only when you prepare well for it. You have to put in lot of hard work and good effort beforehand so that everything goes right on your big day. 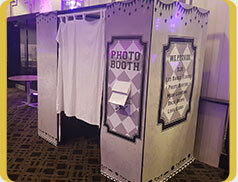 When you try our bundle package of DJ, Photo Booth, Dance Floor and Love Sign, you will ensure that everything goes right during your wedding reception. 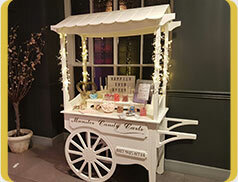 Also if you spend €1000 or more on any of our package deals we will give you our sparkle backdrop cork for free. The starlit white LED dance floor, DJ, photo booth and the `Love’ sign will be a fairy tale addition to your wedding reception. 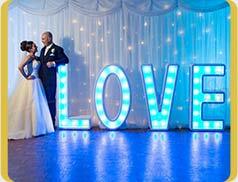 Colour options and mood lighting adds that `WOW’ factor to your wedding celebrations. The smooth pattern and colour transitions will inspire your guests to get up and dance and have a gala time! There are a number of advantages of just having a DJ for your full wedding.